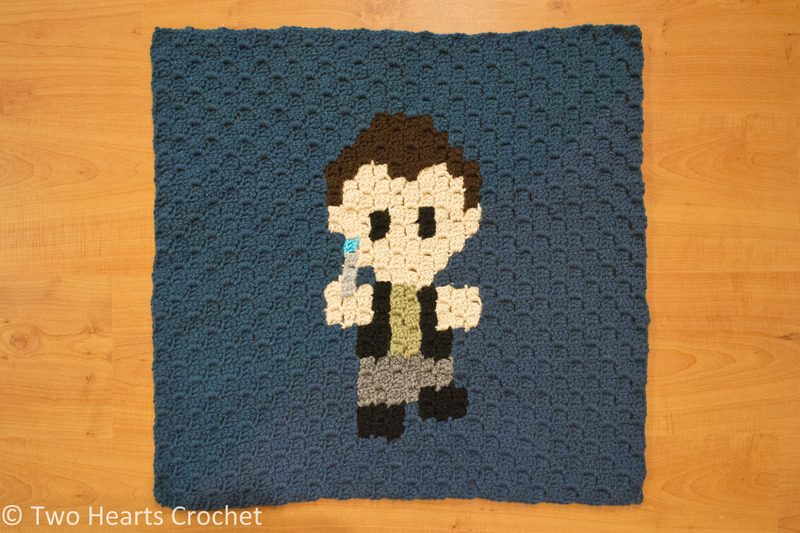 As part of the celebration, the third square of our Whovian CAL is now complete and ready to go! 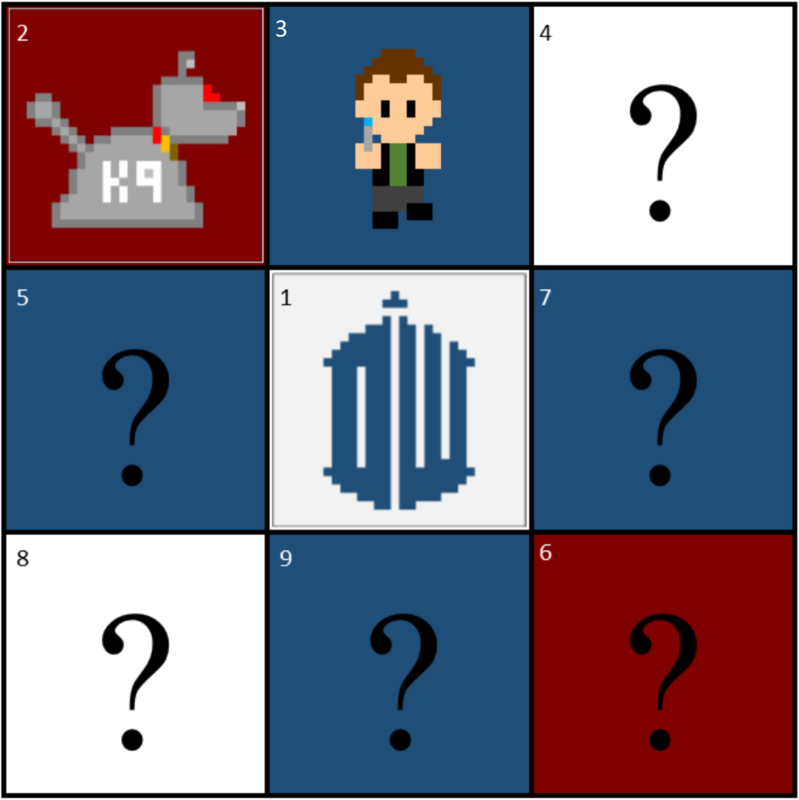 Square #3 features my first Doctor–the ninth Doctor–with his sonic screwdriver. Isn’t he just too cute for words? Note: If you’re left-handed, work in the opposite direction of the arrows! The PDF also has written instructions (also worked for right-handed crocheters) on the last page, if you’re more comfortable working that way. For left-handed crocheters, you can work each row backwards to get the same effect. Update: The written instructions for square #2 are on their way–I promise! They will be posted tomorrow (Sunday), as will a video showing how I make my color changes and carry my yarn. 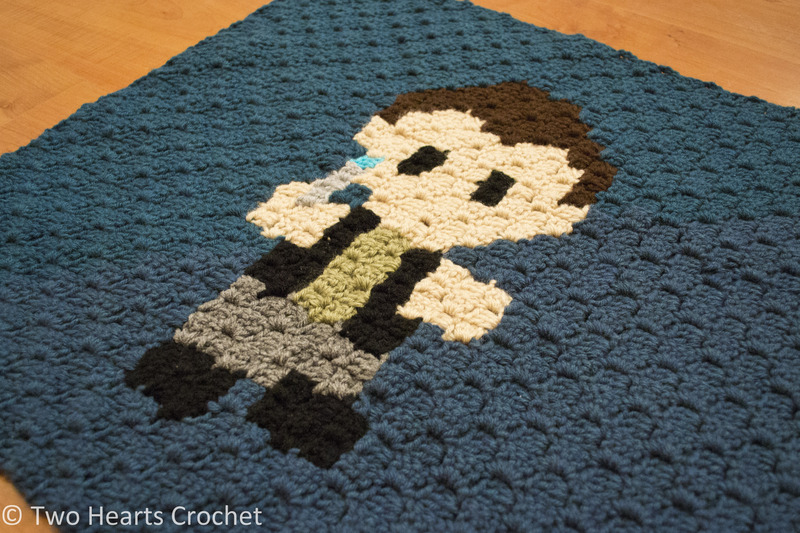 All of the PDF files for each square, the yarn yardage/color chart, and all updated documents (including the written instructions for square #2 when they are available) can be found on the Whovian CAL page OR in the “files” section of the Two Hearts Crochet Whovian CAL Facebook group. Fantastic! where is the pdf pattern for this square? Sorry about that! The PDF should be at the link on this page. When the blog got a makeover, the links remained, but they were no longer underlined (and thus didn’t look like links anymore). I’ve corrected this. Thanks for your comment!